​Astrid has discovered the amazing Roller Derby! She loves zooming around the rink, bumping other girls out of the way and helping her team accumulate points. 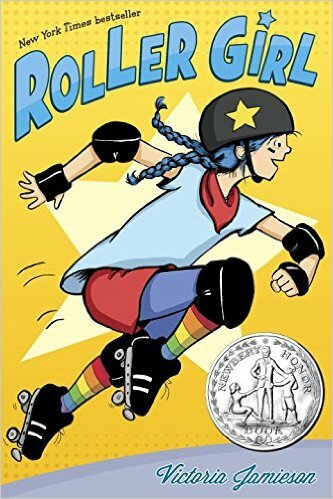 She signs up for a summer roller derby camp and faces some difficulties as she is one of the youngest in this rough, competitive sport. Added to this, her best friend seems to be drifting away from her and she wants to make new friends on the team. ​How would this story be different if it took place in another setting? Perhaps in Hawaii? Does this novel remind you of any other books or movies? How is it similar and different? ​Post your answers to these questions using the Reply form below OR click on "Comment" below the book cover. 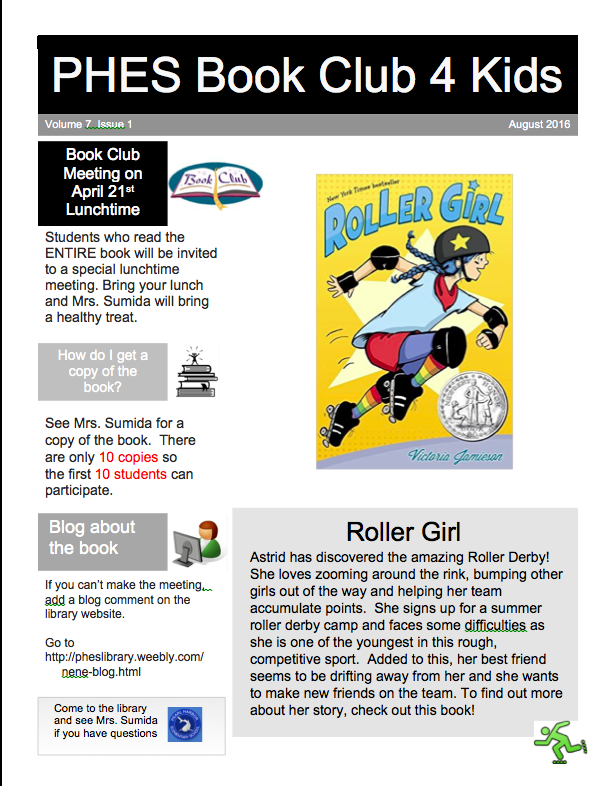 All students who leave a message will be invited to a special luncheon in the library to discuss the book on August 30th. See Mrs. Sumida for a copy of the book.